What do you think about GMOs? Is there a more emotionally charged question out there in this part of today’s world? Certainly, it is understandable that the food we eat be an engaging issue for consumer and producer alike. There has been a drive from the consumer to learn about the food they eat. They want to know how it is produced, and whether it is in a sustainable fashion. Ultimately, and most importantly, they want to know if it is safe. An unknown factor like genetic modification is a cause for concern for these people, because the long-term effects are not readily available to us. I support and applaud those in the public that ask these critical questions. Too many people don’t think about the things that are done by the government, business and other organizations. The problem isn’t in people asking questions; it is in people asking the wrong questions to the wrong sources – and believing the answers without question. I am a farmer that grows genetically modified (GM) crops. Not all of my crops are GMOs. In fact, in a usual rotation of 5-7 different crops, only two are GMOs. 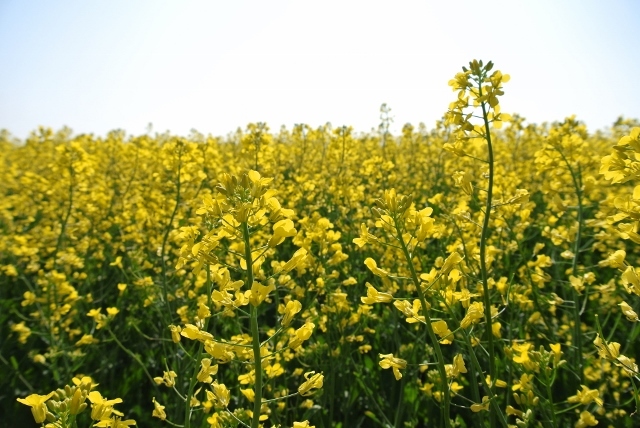 Canola and soybeans, two of my farm’s most economically important crops, are GMOs. Other crops, like wheat, peas and flax, are not GMOs, for there are simply none available. Contrary to popular belief, I do have a choice to buy GM crops or alternatives. So why do I grow GM crops when there are so many other cropping options? That is a good question, and the answer will be different for every farm. 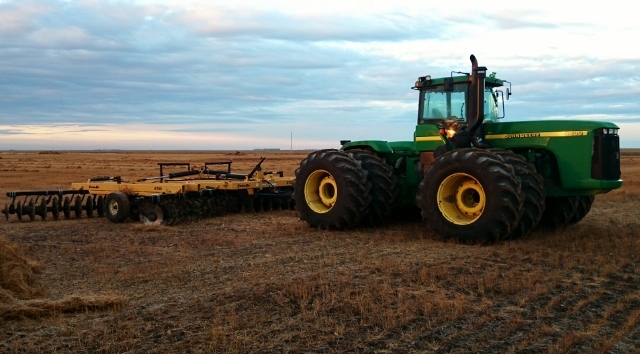 In my life on the farm, canola and soybeans are our two newest crop options. In Western Canada, we have been growing wheat for as long as we’ve been farming. Flax and peas are old crops for us as well. Canola is one that we have really only been growing in earnest on our farm for the past 15 or so years. We only just started growing soybeans 3 years ago. I suppose we could grow old open-pollinated canola and conventional soybeans (these are not GMOs). But would we do that? The claim I hear from some consumers is that GMOs are hazardous. By association then, I must be either cruel or naïve to grow these dangerous crops, putting other people at risk. But here is the question I pose to the GMO haters: do you really believe I would grow these crops if I believed they were unsafe? My family eats the food we grow. I would not put them at risk if I truly believed GMOs were hazardous. Honestly, I don’t believe they are. GM crops are not dangerous1. In the almost 20 years since Monsanto started genetically modifying corn, soybeans and canola, the evidence has become clear that the benefits of genetic modification far outweigh the risks1. This isn’t an opinion by a biased industry representative. The information I use comes directly from peer reviewed journal articles, the best source of information on anything scientific. GM crops also have dramatically reduced use of the most dangerous and volatile chemicals to control weeds2. Most of the GM plants we deal with are “Roundup Ready”, which means they are resistant to the active ingredient of Roundup, which is glyphosate. The way we measure the toxicity of chemicals like glyphosate is its LD50 number. This refers to the amount of the chemical, given all at once, which results in the death of 50% of the test animals3. The acute Low Acute Toxicity for oral consumption of glyphosate in rats is an LD50 value greater than 5,000 mg/kg of body weight4. This means that if you were a rat, and you weighed in at 3 kg, you would have to consume 15 grams of glyphosate for it to become toxic to you. That is quite a lot. Comparatively, the LD50 of caffeine is 192 mg/kg body weight. How much coffee do you have in a day? The point is, the dosage makes the poison, and any chemical can be toxic in a large enough dose. Today’s farm operation is a complicated business. Every year, we run through the numbers on each crop to decide which ones to grow and on how many acres. 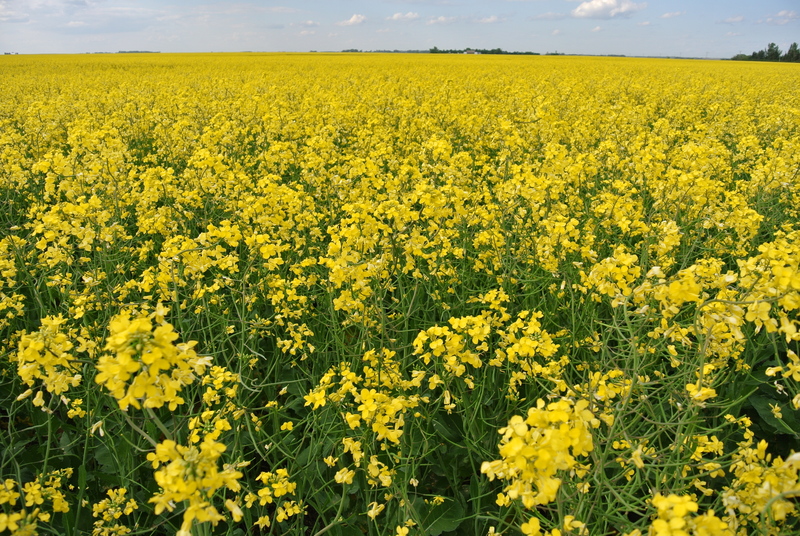 Canola and soybeans, and especially canola, are profitable crop options for us. So yes, we do grow these GM crops because they allow our farm to make money. Are they making us rich? I wish! But they do allow our farm business to make enough money to survive, and hopefully, over time, prosper. Is this not the dream for us all? Ultimately, the question of why I grow GMOs comes down to the fundamental freedom that we all have in our democratic society: the freedom of choice. It is my choice to grow GM crops. Conversely, if you don’t approve of them, it is your choice to buy something else. However, keep in mind the unintended consequences of doing so. GM crops allow us to use less toxic pesticides at lower rates. Furthermore, we can achieve unprecedented yields with the incredible biological advances made with these GM varieties. We need to grow 70% more food by 2050 to feed this growing world5; we are going to need all the tools we can get to accomplish this. Stella G. Uzogara, 2000. The impact of genetic modification of human foods in the 21st century: A review. Biotechnology Advances 18 (2000): 179-206. RH. Phipps and J.R. Park, 2002. Environmental benefits of genetically modified crops: Global and European perspectives on their ability to reduce pesticide use. Journal of Animal and Feed Sciences, Vol. 11, pp. 1-18.